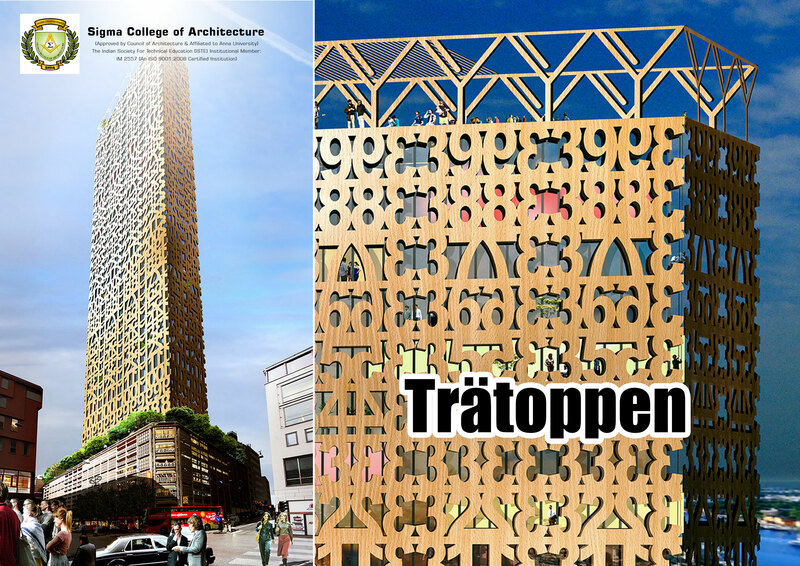 Anders Berensson Architects has proposed a 133-metre wooden skyscraper covered in numbers to be realized on top of a 1960s car park at Stockholm's city centre. The Parkaden car park was initially designed by Hans Asplund in the 1960s. The design studio aims to erect a 40-storeyed structure and to be made from cross-laminated timber (CLT). This wood is considerably stronger and more stable than regular timber, allowing architects to propose bigger and taller wooden structures than ever before. CLT is a rather new technique in Sweden and the architecture studio aims to demonstrate its potential given that Sweden has a big wood industry. The structure has a distinctive number-covered facade that helps drivers orient themselves within the building and from the outside one can count the floors by reading the façade, which is a nifty feature as the skyscraper will be the highest in the city center of Stockholm. The façade also acts as a sunscreen keeping the interior cool. The first seven floors, inside the existing car park, would be converted into shops and restaurants, Levels 8 to 39 would host 250 apartments and a terrace would be located on the 40th floor.